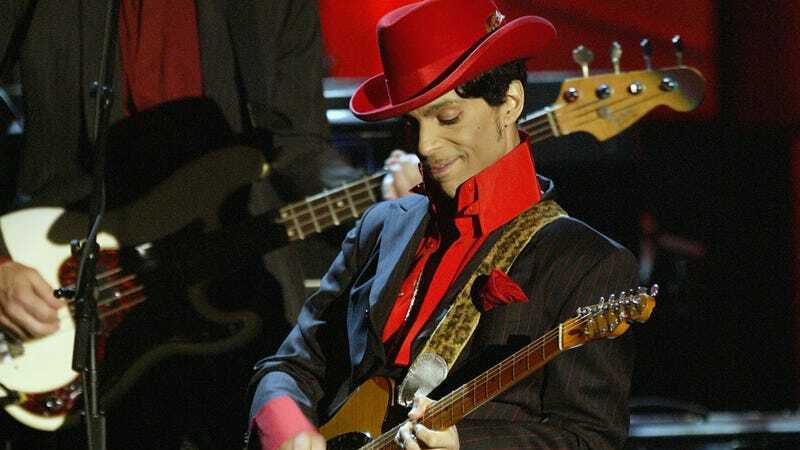 But one of the more enduring mysteries surrounding this stellar performance has to do with Prince’s guitar that night. Specifically, what the hell happened to it when he was done playing? At the end of the song, after successfully melting the faces of everyone in attendance, Prince takes off his guitar and tosses it into the black abyss between the stage and the audience. He then casually turns and struts off stage without a second glance. For years, people have wondered where that guitar ended up, whether it was in the hands of a lucky fan, carefully delivered back to Paisley Park, or grabbed by some celestial being and blasted into stardust. Thanks to a new report from The Current, we may have an answer. According to Dave Rusan—the man who built Prince’s famous cloud guitar—Prince had a habit of throwing his guitars into the crowd at the end of his show. Usually, one of his guitar techs would be standing by in the front row waiting to catch it, but sometimes they would miss. The occasional broken guitar is just the price Prince was willing to pay in order to look cool as hell. That night at the Rock & Roll Hall Of Fame, Prince’s guitar tech Takumi Suetsugu was tasked with catching the guitar at the end of the performance, but he was given additional instructions to then hand off the guitar to one special fan. According to a post on the People Of Paisley Park Facebook group, “Takumi stood in the front row and caught the guitar… and then handed it to Oprah Winfrey.” These instructions were given explicitly from Prince himself, so clearly he and Oprah had worked out a deal beforehand. Or perhaps it was a surprise gift the musician had planned. Truly, no one can know what was in Prince’s mind. So there you have it. Mystery solved. Prince’s MadCat Hohner Telecaster that he made weep in front of millions is, as far as we know, currently in the possession of Oprah Winfrey. Maybe someday she’ll donate it to the Hall Of Fame so Prince’s effortless swagger and guitar tossing skills can be memorialized forever. Or maybe she’s using it to learn how to play guitar herself. What Oprah Winfrey does in the privacy of her own home is a mystery for another time. What did Prince mean to you?